Awesome Fun Reading Through the Responses for This Week’s @HashtagSkirmish Game #MyLast4Words! We Trended #1 in the US, Canada and the UK with over 50,000 responses so THANK YOU EVERYONE who played along! 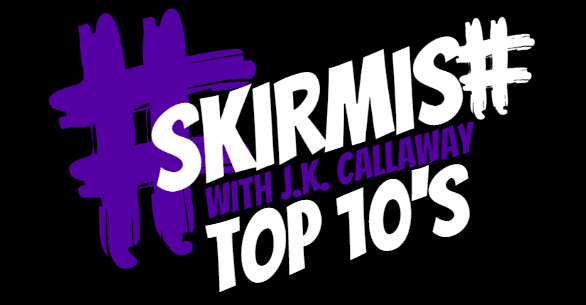 Join us February 3rd for our next @HashtagSkirmish Game! Since We Had Such a Big Game This Week We are Going to Do a Top20! Here are some Honorable Mentions Including One from Our Host @JK_Callaway! And Now… Here is Our Top 20 for January 27th, 2016’s @HashtagSkirmish Game #MyLast4Words! #MyLast4Words You can choke harder. #MyLast4Words The McRib is back!